Debrian Travels: Optimizing travel experience: depth or breadth? From the early planning stages of our trip, we knew we wanted to visit Norway since my wife and stepson have a Norwegian family friend. For me, I have long wanted to visit Sweden dating back to my first job after college working for Swedish telecom giant Ericsson. Being in the region, I originally intended to spend the vast majority of our time there and explore not only Norway and Sweden but also Denmark or Finland (Finland is not technically part of Scandinavia but geographically it would fit!). Late last summer, I booked our transatlantic flights. This is always my first step in the planning process since I work under the assumption that, once I get get us across the Atlantic and back, we can move around with a fair degree of ease. Based on award ticket availability, our departure leg will be Atlanta to Brussels with a non-stop return to Atlanta from London-Heathrow. The Brussels gateway worked well since we wanted to spend a couple of days upon arrival introducing her son to Paris, a city we both love. Unfortunately, once I started to fill in the lines of the journey's outline, I ran into logistical issues. I was faced with a trade-off that always is a challenge for me but one I have learned is critical to manage if you are to have a great trip. That challenge is finding the right trade-off between depth and breadth. 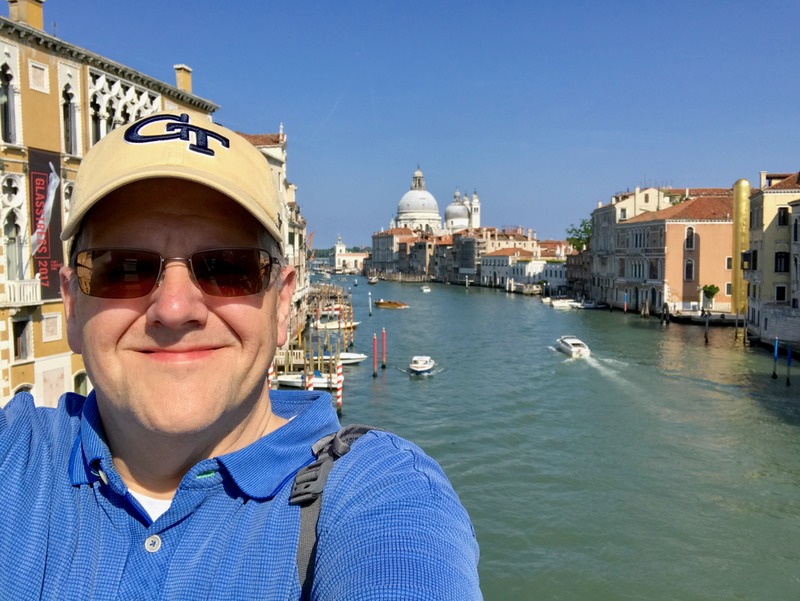 During the past four years, as my travel passion has shifted from domestic to international, my “list” has similarly shifted from states to countries and international cities. On my first overseas trip, though I only had three days in Paris (and absent the knowledge of just how much I would love the city), I looked at possible day trips to another country via high-speed rail. When I told my sister, a seasoned European traveler, what I was considering, she offered a bit of sage advice that has stuck with me. She said that, if I took such a side trip, I would not really be traveling but merely passing through. She suggested that I stay in Paris and get as much out of my visit as time permitted. Fortunately, I listened to my sister and had a wonderful experience that has instilled a longing in me for Paris that has prompted annual returns ever since. I can’t discount the role that the surreal feeling of being outside the U.S. for the first time had in leaving a magical impression on me, but having as full an experience as possible certainly contributed. I still think about her advice every time that inner voice prompts me to add one more destination to an itinerary just "so that I can say I have been there.” That voice spoke loudly to me as I planned this summer’s travels. I am very blessed that my wife loves visiting Paris as much as I do. My biggest struggle in having more than one home base while traveling is sacrificing depth of experience as the total trip duration is cut into increasingly smaller slices. This is a difficult planning constraint even before the urge to add destinations grows within me. After the international outbound and inbound flights, the next step in my planning methodology is to roughly outline a trip calendar. I allocated two days for Paris. The first logistical issues arose as I considered our departure from Paris. In looking for flights to any of the Scandinavian destination cities, I had difficulty finding flights that were an acceptable combination of departure time, length and price. Short direct flights were either too late in the day to allow for exploring our arrival city or were too expensive. Flights that left early in the morning were less expensive but required connections that would waste nearly all day on airplanes and in airport waiting areas. Each option would require that I would have to push back the start of the Scandinavian phase of the trip. At that point I had settled on visiting Stockholm, Oslo and Bergen. I used the Rick Steves guide as a reference for the number of days needed to properly experience each city. This coupled with the transit time between cities began to rapidly chew up the days available until our return to Atlanta, especially because we were already a day later than I had hoped. The fact that I wanted to have a single day in London before departure exacerbated the challenges. As I searched flight times and reviewed train schedules, I began to realize that hitting all three Scandinavian cities, as well as doing Norway in a Nutshell between Oslo and Bergen, was risking the shallowness of experience I have learned to avoid. I had to wrestle that inner voice that was shouting “But I really want to see Stockholm and we will be so close!” Ultimately, the lesson learned about depth trumping breadth helped overcome my disappointment, leading me to decide to drop a city. Having begrudgingly accepted that one of our Scandinavian destinations had to go - dropping Paris or London was not on the table - I needed to rework the general outline of our schedule. The exciting thing about opting for depth was the comparative openness of our calendar with one less city to visit. I felt almost as if I had the kind of blank sheet that is so empowering when first planning an international adventure! Of course, though my page was not entirely blank, I did find that I had much more flexibility. Knowing that connecting with the family friend was a high priority for my wife and stepson, I could not eliminate Bergen. If we were going to Bergen, it would make little sense to skip Norway in a Nutshell and Oslo. That left Stockholm. As painful as it was for me personally to miss out on seeing the Swedish capital, I knew that we would have a richer, more rewarding trip by making Paris, Oslo and Bergen our three focus cities. With this decision made - though there were a few weak attempts to “check one more possibility to see if I can make something work” - I was able to craft an itinerary that allowed sufficient time in our home bases for fulfilling experiences. In fact, by reallocating the time that would have been needed in Stockholm and the travel day between there and Oslo, I was able to extend our stay in Paris. That will enable us to take one or two day trips outside of Paris. Other than watching the countryside fly by the window of an SNCF TGV train, I have not been anywhere in France other than Paris. To be honest, though I have not yet planned our French excursions, I am more excited about getting a taste of rural France than I was about Stockholm. Besides, Stockholm will pair well with cities such as Copenhagen, Denmark or Helsinki, Finland on future European travels. Though I had to be drug, kicking and screaming, from the Scandinavian Adventure to the FrancoNordic Adventure, I am excited how this vacation has developed and hopeful that we will avoid feeling unfulfilled when we move on from our home bases. Like many things in life, travel is an exercise in trade-offs. A major trade-off is depth versus breadth. I learned some years ago that breadth cannot alone produce the satisfaction that depth can; unless you have time for both, you are better off going deeper than wider as you explore the world. Dropping Stockholm will allow us to properly explore Oslo and Bergen as well as gain more exposure to Paris for an extended period of time, something I have yet to enjoy with my wife. In reality, trading off breadth for depth is really just a real-world manifestation of “less is more."